Rothschild Beating and Harming people to build their private Hunting Zoo for the Wealthy. All I’m going to say is Sick! I personally look forward to seeing the Rothschild go to court. You may think your in a position of power and can do whatever you want; even if it is at the expense of others, but I have a news flash for you all. You will answer for what you have done to humanity; all of you in the Banking families, breakaway civilizations and USAP will be brought to justice. Not only has Rothschild expelled the Pygmies, but he has also led an effort to beat and torture themin the process. Survival International, an indigenous advocacy group, published statements in early November from the alleged victims of Rothschild and his business. This is not surprising since the World Wildlife Fund is supported by the Rockefeller family and a host of oligarchical families and major corporations. It is, in a sense, an organization of stealth designed to parade about as a pro-environment, pro-animal organization but in reality, is a tool of the 1% to gain control of wildlife and wildlife refuges for the benefit of international banks and corporations. It is also unlikely that the World Wildlife Fund cares very much about elephant trophy hunting when its own trustee, Peter Flack, openly brags about killing elephants in Africa and Cameroon specifically. Posted in Rothschilds, The Event. The final game plan of the Rothschilds was to reverse the results of World War I by reinstating the German, Austro-Hungarian and Russian monarchies, sources in Germany and the US agree. The plan that is now unfolding in Europe calls for a civil war against a “Muslim” enemy. The so-called “Muslim” terrorists are being financed with money supposed to be spent on fighting so-called carbon induced global warming, the sources ad. This is why we are seeing daily “Muslim” terror attacks that seem to always involve “lone wolves” who die in the attack. That way there is no need to have a messy trial where facts might have a chance of intruding into the public mind. In any case the sources say that after a summer of increasingly severe terrorist attacks, European bank ATMs will be shut down, possibly in August or September. It is at this point where the royal families will present themselves as “saviors” and provide the people with huge amounts of fiat money and “security,” in exchange for the reinstatement of their monarchies. The reinstated European royalty will be headed by a German “Kaiser” (Caesar) who will have four kings will be appointed under him, they say. The candidate for Kaiser will probably come from either the Habsburg or Hohenzollern royal families, they note. That means Karl Habsburg or the Hohenzollern Georg Friedrich Prince of Prussia. Another candidate they mention is Ferdinand Zvonimir Habsburg-Lothringen. because he has the most Romanov blood of all the European royals. This fits in with what Russian sources have long told us and that is that Vladimir Putin was put in power by a faction in the KGB that was loyal to the Russian royal family. This move combined with the push by Turkey’s Recep Erdogan to restore the Ottoman Turkish Empire would, if successful, restore the German, Austro-Hungarian and Turkish empires; essentially bringing Europe and the Near-East back to the situation that existed before World War I. So, a hundred year plot to reverse the Anglo-American victory in World War I has now been un-masked. The Brexit vote in this context means the British Royal Family will not have to fall under the rule of the restored monarchies of Europe. 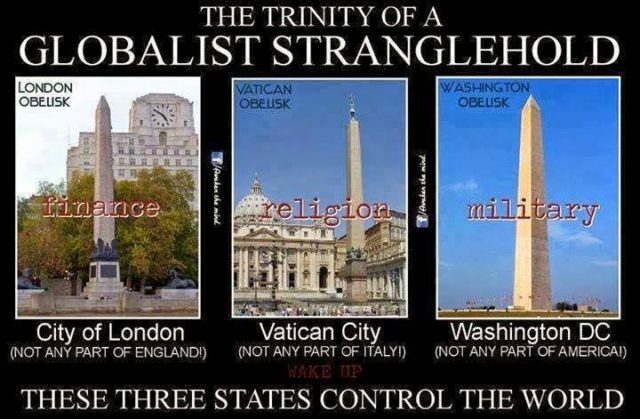 The question of course is, will the European people passively agree to be terrorized and financially blackmailed into restoring these bloodlines to formal power? We may well find out this summer and autumn. In the meantime expect a Gladio frenzy of increasingly lurid false flag attacks and well-financed, violent demonstrations. It is also a good bet that German Chancellor Angela Merkel and French President Francois Hollande will lose power later this year. Since the Democratic Party Presidential Convention started this week with a big “Russian” e-mail leak about how Democratic Party brass rigged things for Hillary Clinton, there can be no doubt a serious power struggle is underway in Washington DC. Democratic Party National Committee head Debbie Wasserman Schultz, who was fingered in the e-mail leak, has said she will resign “after the convention.” CIA sources say it is very likely she will be killed soon to stop her from testifying about how she stole the election for Clinton. The Pentagon and agencies have already forced both the Democratic and Republican parties to promise they will restore the Glass-Steagall act. This means a forced end to the crooked casino that the Bush/Clinton faction of the Khazarian mafia had turned the US financial system into. The P2 Freemason lodge also forced Hillary to accept Tim Kaine, a Jesuit, as her candidate for Vice President, CIA sources say. Since Trump is also supported by the Jesuits and P2, this means they have both side covered in the US now. So, as the Soviets used to say during the cold war, the Americans can choose between Pepsi Cola or Coca Cola, but you can be certain wine, tea, coffee etc. will never be on the ballot. What he really means is that it will save his chemical buddies annual $20 billion or so in revenue on selling patented refrigerants for the worlds air-conditioners, refrigerators etc. What sort of degenerate political system is it that gets the foreign minister of what used to be the world’s greatest country to tell outright lies on behalf of corporations so that they can swindle money out of people in poor countries who desperately need air-conditioning? 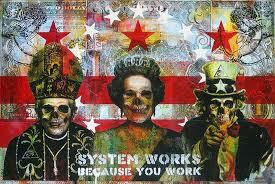 It is a system so corrupt it must be overthrown. Speaking about which, there has been response to the one ton gold bounty placed on many of the top bosses of the Khazarian mafia by the White Dragon Society. The US special forces command has contacted the WDS to ask for written bounty notices that can be presented to persons on the list. They want this because they do not want to start a “sheepdog on sheepdog” situation where special forces fight each other as some try to protect the people on the list and others try to arrest them. These documents are being prepared and the special forces will operate in harmony to carry out the anti-Khazarian mafia mission. The bounties will be issued by the Planetary Liberation Army general command in conjunction with the WDS. The WDS also knows it will lose face if some action is not taken after the deadline given to the Rothschilds expires at midnight Hawaii time on July 25th. Since the Rothschilds are now hiding in Switzerland, there may be a delay before action is taken but it will be taken. Nathan Rothschild, who originally agreed to meet with the WDS, has publicly announced he is not inviting his father to his wedding to make it clear the blockage of a deal is the responsibility of his father and uncles, not him. For this reason, the one ton gold bounty on Nathan has been suspended. Also, Asian secret societies, even though they suffered destruction of irreplaceable cultural treasures like the Summer Palace, do not want to destroy priceless artworks, the heritage of all humanity, to get a few old men. That means the complex in Zug, Switzerland will not be hit with a missile. Instead, expect “precision surgery,” they say. The Rothschilds may be thinking the recent ruling against China in the South China Sea can be used to manipulate the US military and its allies into war with China. Certainly Pentagon sources feel they have right on their side now that a court ruling has been made. So there is definitely going to be some heavy brinkmanship ahead as the US is threating to send a multinational naval task force to the South China Sea to enforce the ruling, Pentagon sources say. The Chinese meanwhile argue the tribunal was a “political farce,” and noted that none of its 5 members was Asian or knew much about Asian history or culture. Nonetheless, the Chinese have agreed to let Singapore arbitrate on the South China Sea issue with ASEAN. Since Singapore is regional CIA and MI6 headquarters, it is clear the Chinese are looking for a compromise. Of course this whole South China Sea thing is just a pretext for the Rothschilds to play their US military might card in the ongoing bankruptcy negotiations of the Rockefeller and Rothschilds’ UNITED STATES OF AMERICA and UNITED NATIONS corporations. The Republic of the United States is not bankrupt and must not let itself be manipulated in this manner by owners of a corporation based in Washington DC. The other thing that has happened in the Middle East is that Russia sent a drone over Israel to systematically gather intelligence about Israeli military deployment. Furthermore the drone was able to disable 3 Israeli missiles, making it clear they have total air superiority and that the Israel Defense Forces are “sitting ducks.” Israel is now expected to become a Jewish autonomous zone within the restored Caliphate. Their attempt to malign moderate Islam by creating a fake radical Islamic ISIS boogey-man has failed.